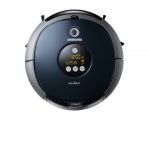 The Samsung NaviBot is the new age in robotic vacuum cleaning; offering a more intelligent and more efficient way to clean your home. 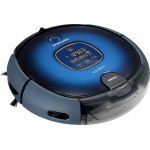 It cleans your carpets and floors with its triple brush system at the push of a button, and can self navigate and recharge itself when needed. It can also adjust itself depending on the environment and is the perfect modern day cleaner...leaving you more time to enjoy yourself. 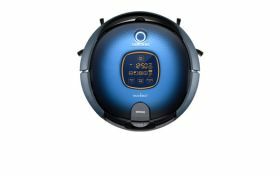 Under the coffee table, around the couch and through the hallway to the next room - with its Visionary Mapping™System, the NaviBot will chart the most efficient course around your house. 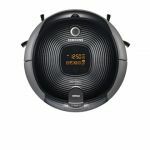 Featuring an onboard camera that captures 30 frames per second, it documents your home's layout and memorizes the best possible cleaning path. And the NaviBot always knows exactly where it is, and where it's going. It's even sophisticated enough to pick up precisely where it left off should it need to return to its docking station for a quick recharge. That's because we designed it to be brilliant as well as leave your floors looking brilliant. It may look like a pet, but the NaviBot was actually engineered to tackle pet hair. Not to mention dust, dirt, crumbs and other debris. With its innovative power brush and rotating side brushes that don't shy away from difficult pet hair, NaviBot leaves your floor in pristine condition. It also traps and holds up to 0.6L of dust - filtering the finer particles that can trigger allergy and asthma symptoms through a washable HEPA filter. 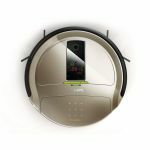 But if you're a pet owner, it's Samsung's patented pet hair care system that will win you over. The NaviBot effortlessly picks hair and fluff up while preventing it from wrapping around the brushes - ensuring its usefulness for many years to come.